A healthier alternative to traditional nail polish formulated with natural minerals in 61 gorgeous shades. Apply this long-lasting chip-resistant mineral nail polish formula flawlessly using our custom, extra-thick brush. 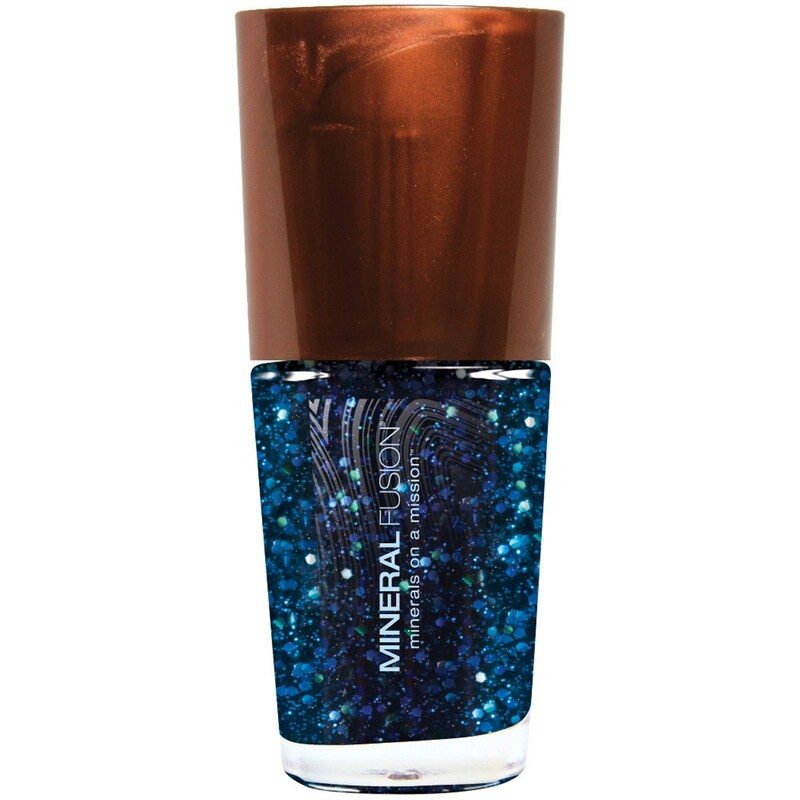 Apply Mineral Fusion Nail Polish to nail after Base Coat using custom extra thick brush. Allow 3 minutes to dry between coats. Finish with Mineral Fusion Nail Polish Top Coat. Ethyl acetate, butyl acetate, isopropyl alcohol, nitrocellulose, adipic acid/neopentyl glycol/trimellitic, anhydride copolymer, trimethyl pentanyl diisobutyrate, stearalkonium hectorite, diacetone alcohol styrene, acrylates copolymer, silica, citric acid, benzophenone‐1 (may contain): mica, oxides, titanium dioxide, bismuth oxychloride, aluminum powder, D&C red no. 7 calcium lake, D&C violet no. 2, FD&C yellow no. 5 alluminum lake, ferric ammonium ferrocyanide. Mineral Fusion Nail Polish is formaldehyde free, toluene free, camphor free, dibutyl pthalate free, paraben free, hypoallergenic, gluten free, talc free, fragrance free and free of artificial colors. As with all of our cosmetics, Mineral Fusion Nail Polish is never tested on animals. Mineral Fusion Nail Polish is a toluene free nail polish and like all of our cosmetics, upholds our standard for Formula Purity.